The New York State School Boards Association announced today that, after a forty-year career as a public education advocate, Executive Director Timothy G. Kremer will retire at the end of the year. The NYSSBA Board of Directors has retained the search firm Korn Ferry to conduct a national search for his successor. The commissioner of education recently rejected various challenges to a long-term suspension that was the result of a student's social media posting that was uploaded off school grounds and during non-school hours. In Appeal of a Student with a Disability (Decision 17,610, 2019), a high school student and several friends participated in an off-campus paintball game to celebrate the student's birthday. On the day of the party, Sept. 2, 2018, the student took a photo of another district student in front of a rack of mounted paintball guns and added the caption: "Don't come to school on Tuesday." The photograph with caption was uploaded by the student using Snapchat, a social media application. 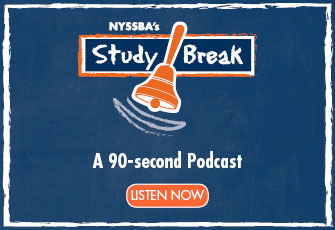 Here are the top education stories found in today's NYSSBA e-Clips. If you're a NYSSBA member, you can subscribe to e-Clips to receive education news from over 26 newspapers each day.Sign-up TODAY!